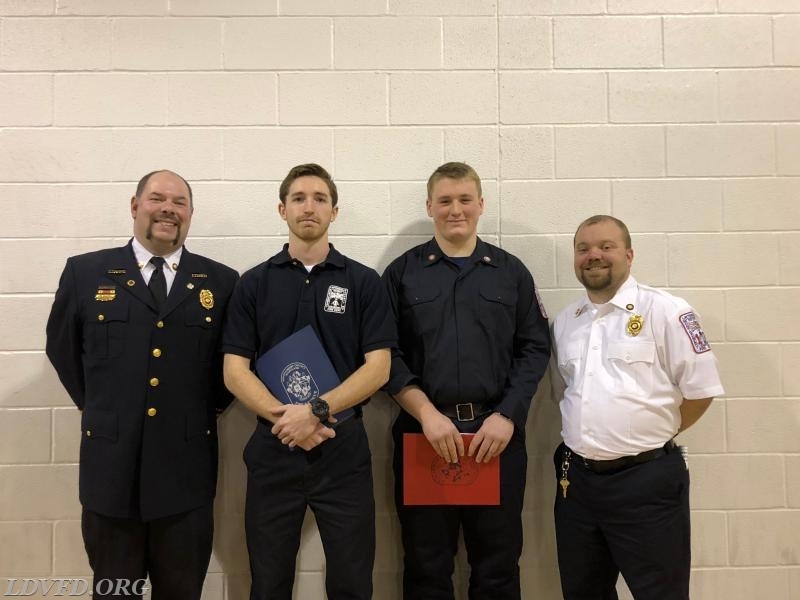 The LDVFD would like to congratulate Matthew Cox who passed the academic portion of EMT-B and to Evan Kinsley who completed Firefighter I & II. Tonight, members attended the ceremony held at the Public Service Training Academy. Congrats to all the Volunteers throughout the County who were recognized this evening !!! 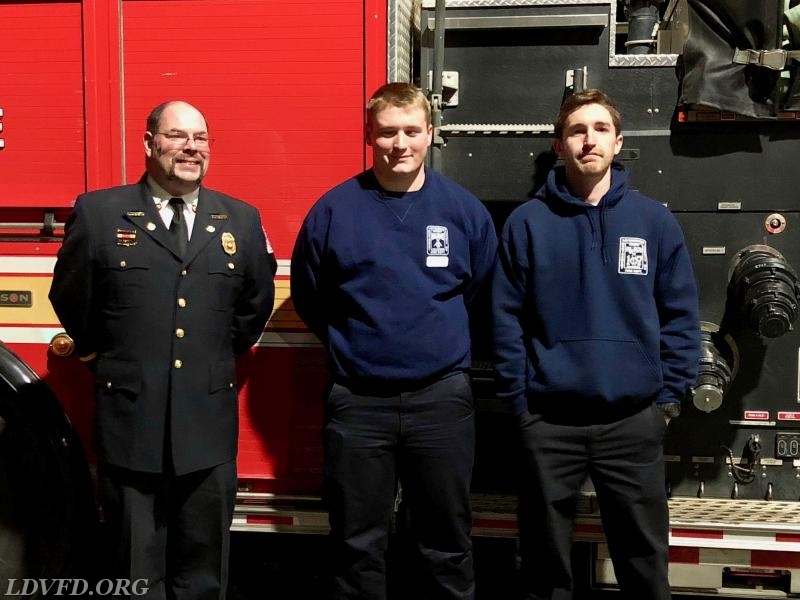 President Mike Eanes, EMT-B Matthew Cox, FF II Evan Kinsley, Vice President Mike Russ.